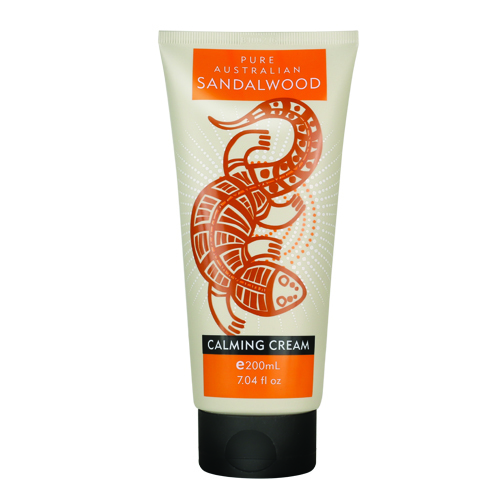 Calming Cream is a versatile fragrance free moisturiser infused with pure Australian Sandalwood oil. 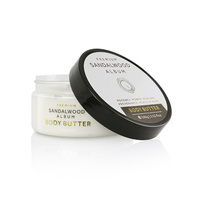 It leaves the skin feeling soothed after damage caused by skin conditions, sun, wind, and shaving or waxing. I bought this cream for my daughter who had rough skin on her arms. She loved it so much, she now uses it as her everyday face and body moisturiser. 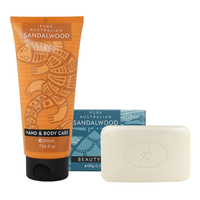 It's light, and quickly absorbed by the skin, yet leaves the skin soft and supple, soothing red rough patches, sunburn, dryness, with no residual greasiness, and just the hint of a delicate scent.. Highly recommended.